Kia Carens Boot Space, Size, Seats | What Car? 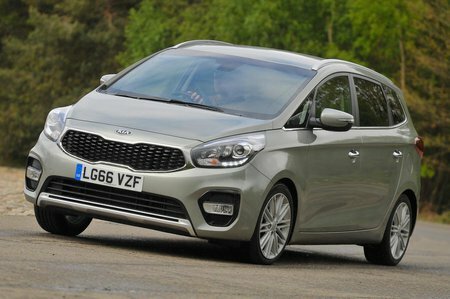 MPVs are about space first and foremost, and the Carens puts up a decent showing, if not ultimately the best in class. 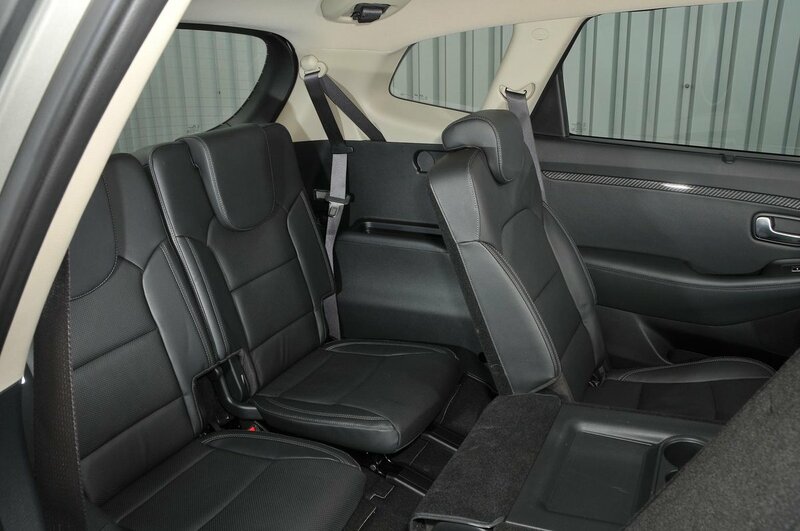 Those in its front seats will find very generous head and leg room, while the Carens’ three middle seats slide forwards and back and fold individually, and will seat three adults in decent comfort, although two will be very comfortable indeed. Each rear door gets a generously sized pocket and will take a medium-sized bottle. The rearmost row can be folded flat into the boot floor and split 50:50 depending on your needs, while two fabric straps are used to pull them up, which is easy to do. 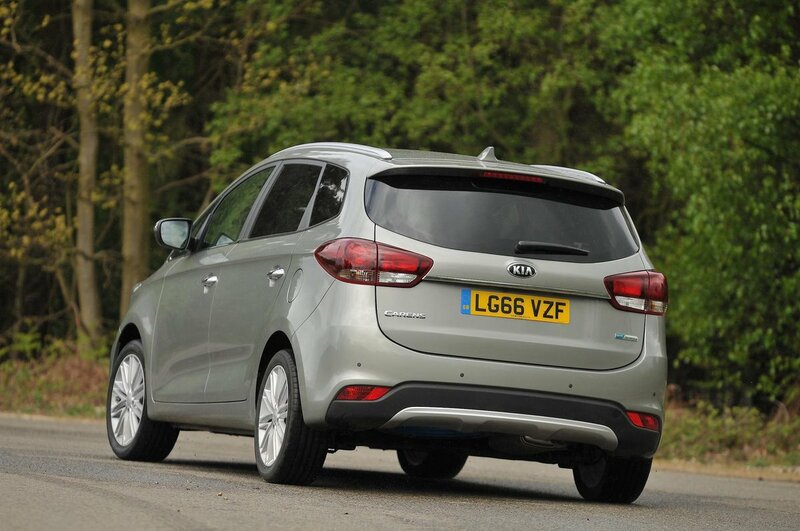 There’s no doubt two adults will find it cramped on a long journey, but they will find short journeys tolerable, although Kia has included a cubby and cup holder on each side. In comparison with its rivals, the Carens’ offers better third-row space than a Grand Scenic, but both a Zafira Tourer and VW Touran will keep a couple of adults happier over lots of miles. The Carens’ boot has an official luggage capacity of 492 litres with the sixth and seventh seats folded into its floor, which is smaller than both a Zafira Tourer’s and VW Touran’s. However, there’s no lip to lift bags over and the space it does offer is nicely square. Kia has also included useful features such as a removable torch and 12V socket, and the tonneau cover can be stored in a handy cubby in the boot floor.